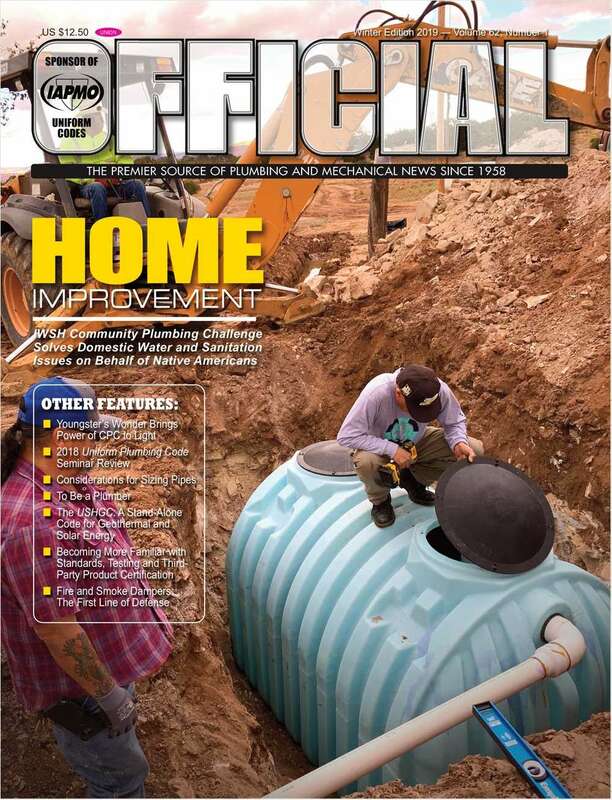 Is the nation's leading source for information about plumbing & mechanical safety codes, as well as codes and safety standards for many diverse areas including swimming pools, solar energy, recreational vehicles and manufactured housing. By submitting this content request, I have legitimate interest in the content and agree that IAPMO, their partners, and the creators of any other content I have selected may contact me regarding news, products, and services that may be of interest to me. Which of the following is closest to your job function? Do you wish to receive a FREE subscription to Official? Complete and verifiable information is required in order to receive this subscription. • Geographic Eligibility: USA (Print Version Only), Selected International (Digital Version Only). • The publisher determines qualification and reserves the right to limit the number of free subscriptions.